What is the NJCFA as applied to contractors? The NJCFA prohibits any unconscionable commercial practice, deception, fraud, false pretense, false promise, misrepresentation, or the knowing concealment, suppression, or omission of any material fact in connection with the sale of goods, services or real estate. N.J.S.A. 56:8-2. The CFA is applied broadly and liberally construed in favor of consumers to root out consumer fraud. Gonzalez v. Wilshire Credit Corp., 207 N.J. 557 (2011). A provision stating the consumer’s three day right to cancel. The list above names but a few of the regulations which contractors are beholden under the NJCFA. Additional regulations can be found under N.J.S.A. 58:8-136 et seq. and N.J.A.C. 13:45A16 – 17. Elements of NJCFA claims and relief. To prevail on a NJCFA claim, a plaintiff must prove that: a) the defendant committed an unlawful practice; b) the plaintiff suffered an ascertainable loss; and c) a causal relationship between the unlawful conduct and the ascertainable loss. An unlawful practice may arise from an affirmative act, a knowing omission, or a violation of an administrative regulation. A showing of intent is not an element if the claimed unlawful practice is an affirmative act or a regulatory violation. Dugan v. TGI Fridays, Inc., 231 N.J. 24 (2017). Any person who suffers an ascertainable loss of moneys or property, real or personal, as a result of an unlawful practice under the NJCFA may be awarded threefold damages and reasonable attorney’s fees and costs. N.J.S.A. 56:8-19. Using the NJCFA against a bad contractor. Practically speaking, even technical regulatory violations of any of the myriad of regulations imposed under the CFA may entitle a homeowner to rescind the contract and an award of treble damages and attorney’s fees. Most contractors commit several regulatory violations in each home improvement contract. This can be used to a homeowner’s advantage if the contractor is being dishonest, inflating costs, delaying the project, or failing to meet reasonable expectations of workmanship. 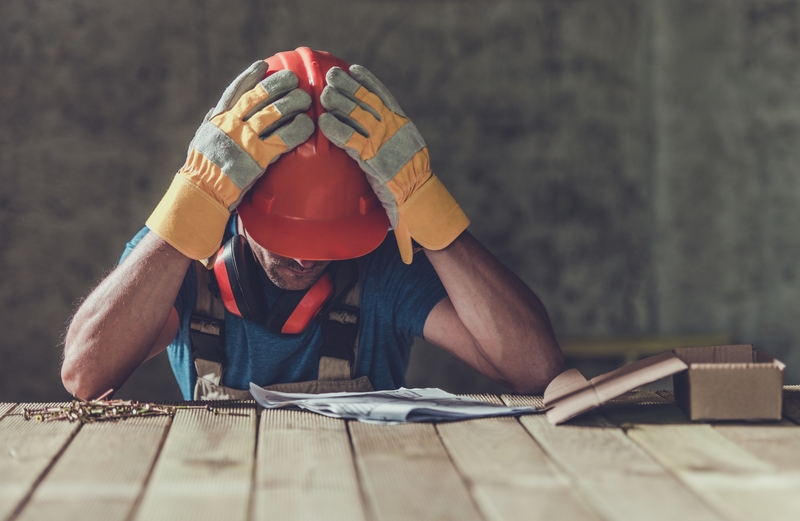 When contractors and homeowners become adversarial, construction often grinds to a halt because the unhappy homeowner refuses to pay additional invoices or change orders until their demands are met. The contractor then denies or minimizes the homeowner’s concerns while refusing to continue the project until payments are resumed. The resulting impasse can last for months and further inflate costs. At this point, the homeowner should consult an experienced NJCFA attorney to evaluate his or her options under the specific home improvement contract. If the contract contains regulatory violations of the NJCFA, the homeowner should request their demands be met and work resume immediately. If the contractor refuses, the homeowner may then demand that the contractor cease work and leave the job voluntarily to be replaced by another contractor. The contractor will likely threaten to retain any monies paid and allege the homeowner to be in breach of the contract. However, the contractor should be reluctant to sue knowing that counterclaims seeking treble damages and attorney’s fees under the NJCFA are viable. This threat alone may be sufficient to bring the contractor into compliance with the homeowner’s demands and resume work. If not, the unhappy homeowner can file suit under the NJCFA to rescind the contract while seeking treble damages and attorney’s fees. In this scenario, the homeowner should obtain estimates from other contractors detailing the cost for completion the contract. If the estimates are higher than the original contract price, the homeowner may seek the difference as an ascertainable loss. The downside to filing suit is that the project will be delayed while the litigation ensues. Settlement negotiations can be utilized to bring about a faster, amicable result. Home improvements are stressful but necessary endeavors. Seldomly do such projects go according to plan. This creates tension between contractors and homeowners. The NJCFA is a mechanism intended to root out fraud and can be used to put the screws to a contractor who is less than scrupulous. A sophisticated homeowner knows his or her rights under the NJCFA and should not be afraid to consult an attorney in the event of a home improvement project gone bad. The adage, “home is where the heart is,” should ring true after an outpouring of time and expense to improve your home. Don’t settle for substandard, overpriced work that was not part of the deal. If you are considering home improvements or are currently unhappy with a contractor, contact our experienced NJCFA attorneys to know your rights.